This past weekend the staff of FLARE volunteered and attended sessions at the Florida Heritage Book Festival, hosted right here at our very own Flagler College. We had an absolutely fantastic time surrounded by so many aficionados of the written word. 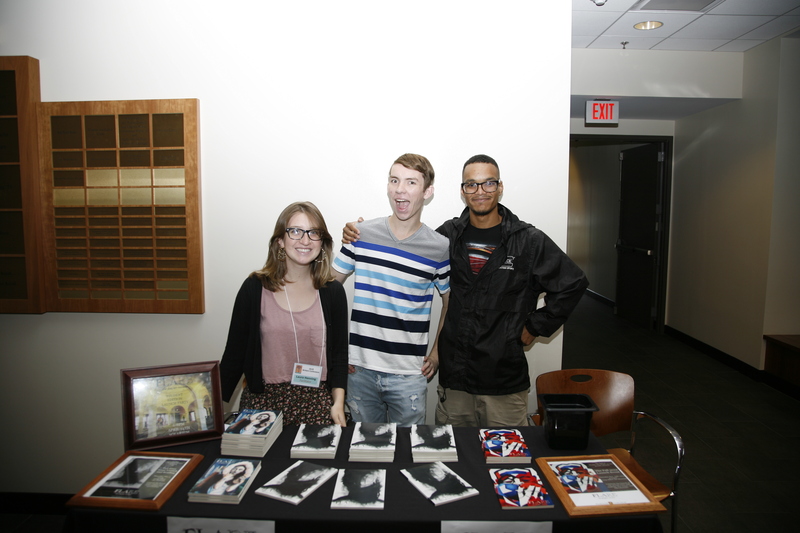 FLARE Editor-in-chief Laura Henning, Marketing Director Joshua Carter, and Non-fiction Editor Kalel Leonard pose by our table in the marketplace. Poetry Editor Elise Perez and Social Media Director Hannah Porter greet visitors and give them information about FLARE. Lots and lots of FLARE books!